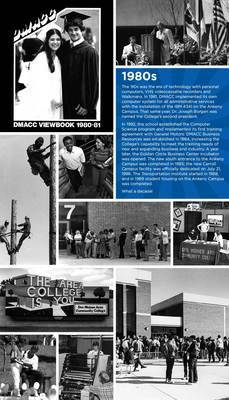 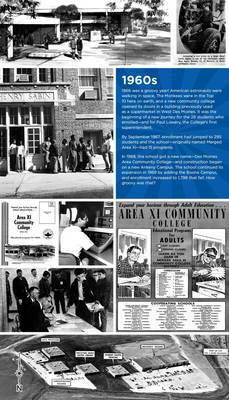 DMACC through the decades. 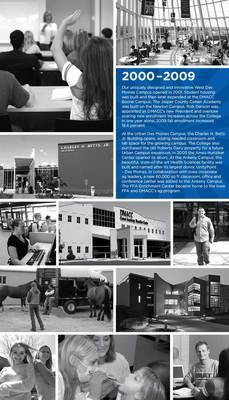 Created by DMACC Marketing staff. 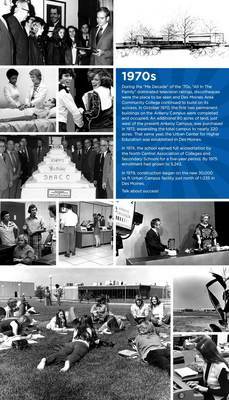 Created in 2016 by DMACC Marketing in celebration of DMACC's 50th Anniversary. 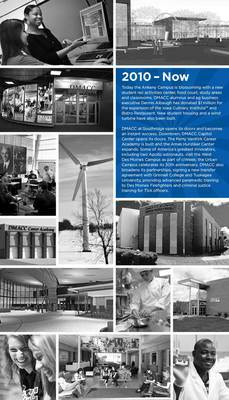 Created by DMACC Marketing in celebration of DMACC's 50th anniversary. 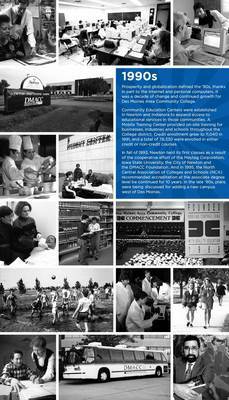 The 45th Anniversary video adds new DMACC events from 2006 through February, 2011. 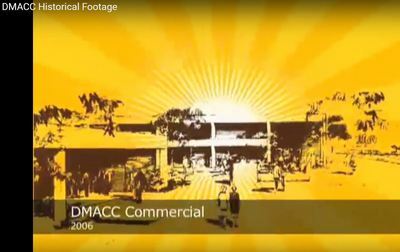 The Historical Footage video shows many TV commercials as well as logos throughout DMACC history. 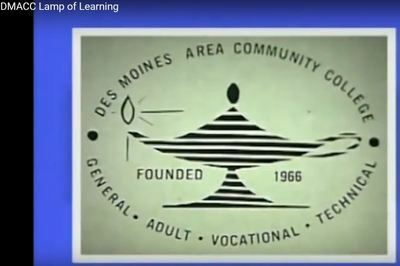 The DMACC Lamp of Learning video, originally produced in 1995 is a digital time capsule of DMACC's exciting history from 1966 through 1995.